Don’t Be Bitter, Have a Cocktail! After I posted the Fall A-Way cocktail last week several of you asked about bitters, why I used them, where I get them and what the heck are they? Bitters are growing in popularity so I figured I might as dive right in and do a whole post. Typically bitters are made of a flavorless alcohol (think vodka or grain alcohol) infused with spices, herbs or floral elements. A little bit will do you, just a couple of dashes are all that are ever called for in any given cocktail. 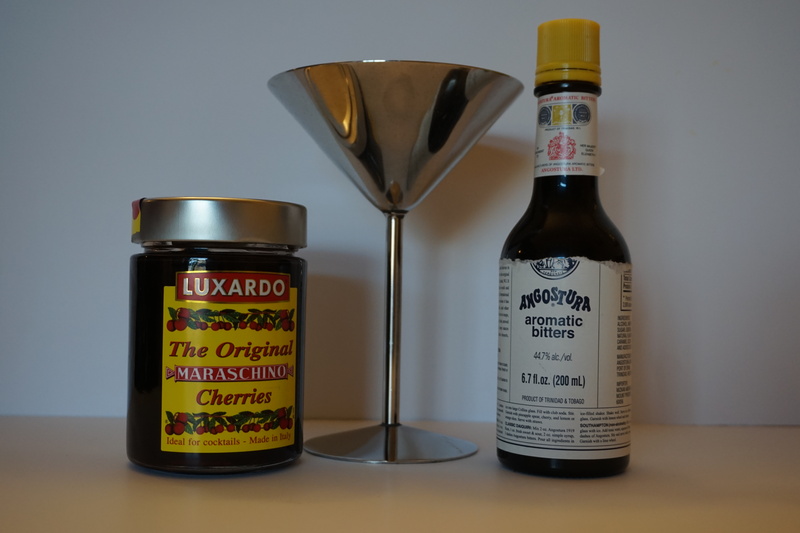 However, those couple of dashes can add a lot of complexity and depth of flavor to your cocktails. This can be especially handy for those of you who don’t have a lot of space for a whole bunch of specialty liquors on your bar cart but want to make something more interesting than a rum and coke. 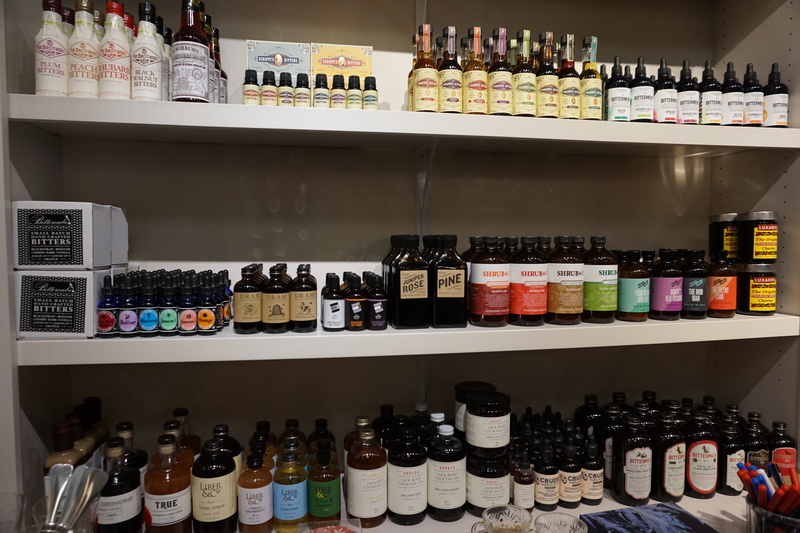 If you live in DC and want to up your bitters game head on over to Salt and Sundry in Union Market or on 14th Street NW. They have an incredible collection and really knowledgeable staff that can help you pick out what you need. They also have a couple smaller size bitter collections that will allow you to get a bunch and try them out. Online some of the best resources are Food 52 and Mouth or just check out what they are selling at your local liquor store, most these days have a pretty good selection. I realized that we have racked up quite a little collection, mostly thanks to frequent visits to S&S, so I figured I would share with you my favorite bitters and some good cocktails to go along with them. 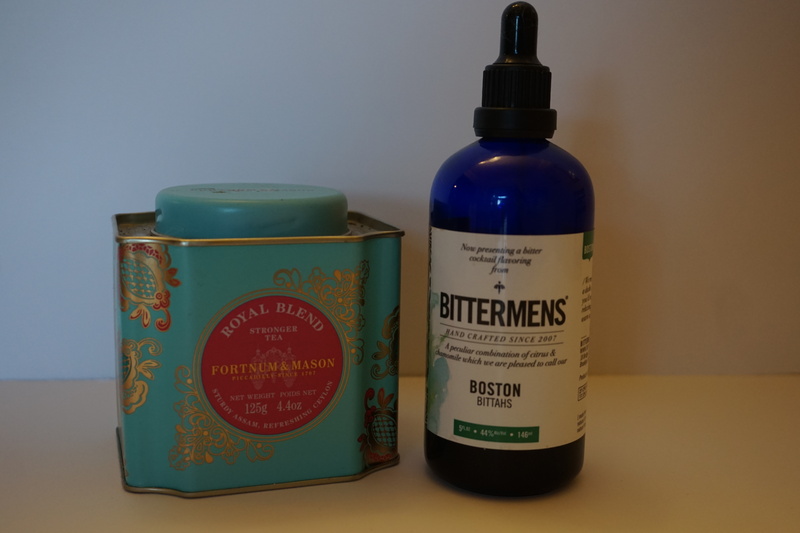 One of my favorite bitters is of course Boston Bittahs by Bittermans. It has a less intense flavor than some bitters but still pumps up summer drinks with a tealike taste. Right after our friends Devin and Erica got us a bottle I ran across this great cocktail on the Camille Styles blog called the Boston Tea Party. Don’t worry – it’s not like a Long Island Iced Tea, this drink actually has tea in it and won’t result in lots of mistakes. The classic is Angostura Bitters. This you should be able to find at just about any liquor store and is ubiquitous in old school cocktails. When I looked closely at the bottle I discovered that it actually originated in Venezuela where my family is from. That must explain why my dad likes a nice Manhattan with a maraschino cherry. 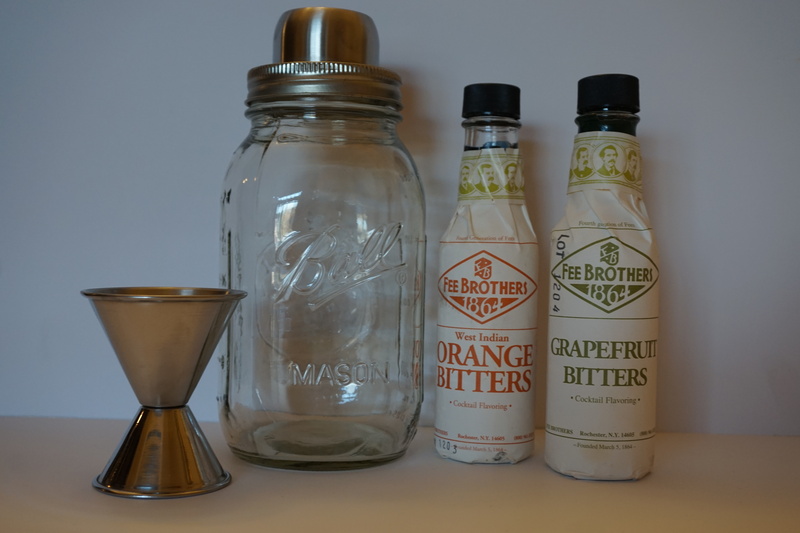 One of the easiest ways to incorporate bitters into your drinks are to go with a citrus bitter, like orange or grapefruit. Just think about the flavors in your drinks and what citrus would best match them. I like the orange bitters in drinks with gin and the grapefruit one with mescal or tequila cocktails. I like the Fee Brother’s brand but there are lots of out there. So go out and grab a couple of bottles of bitters and impress your friends and family with your advanced cocktail skills.